Happiness is a mental or an emotional state of mind characterized by a positive attitude and joy. The reasons for happiness are many such as relationships, state of mind, job, wealth, health etc. To maintain a healthy state of mind, one needs to stay happy and cheerful. • Communicate positively: Be careful with your words. Do not assume or be judgmental about anyone. Communicate with a positive attitude and always think before you decide and stay calm. • Forgive and forget: Always forgive mistakes and forget bad incidences. 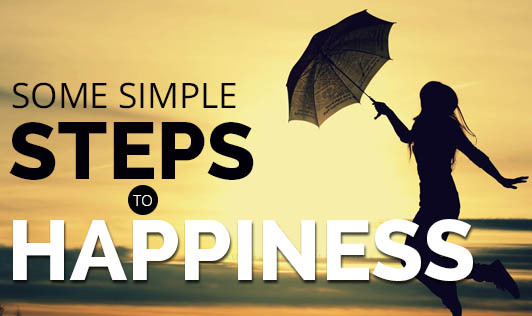 By doing this, you will notice how easy it is to stay happy! • Enjoy small things: Pleasure need not be only from bigger things or achievements. There are many small things which we would ignore in our daily life. Respect small events, recognize them and learn to enjoy them. • Believe in yourself: A strong sense of self belief will get you through any situation. Happiness is objective. With a strong sense of self belief, you can do exactly what will make you happy. Take the right decisions, do not get influenced. • Help the needy: Have you noticed how much we spend on ourselves and sometimes for things which are unnecessary? Keep some for the needy, old and poor. Donate to medical organizations and military services. You will see how happy this can make you! Try one of these and see how much happiness it can give you! Make some time for true happiness in your busy lives!